Look what my dear wife found in the basement! 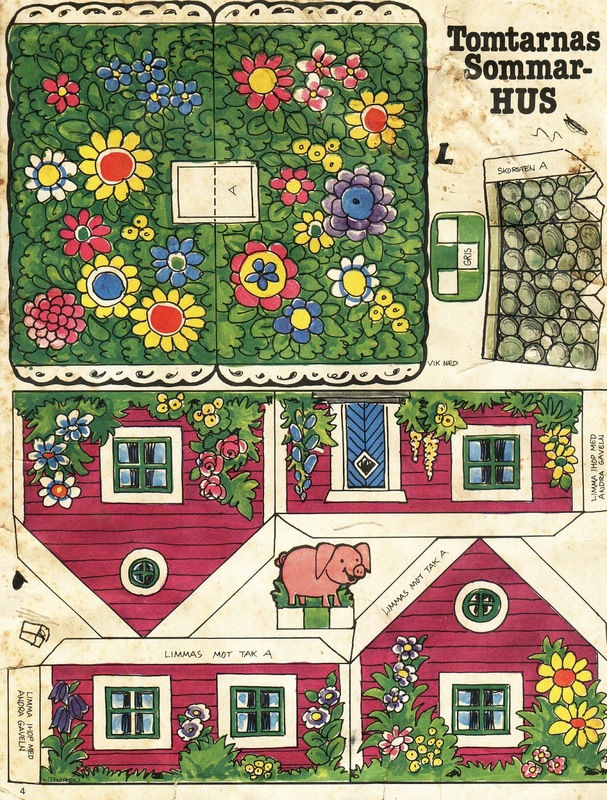 Unfortunatly only one of two pages is left, so I guess you have to do with one house and a pig. I guess it's from late seventies or early eighties, but I can't keep this gem from you! 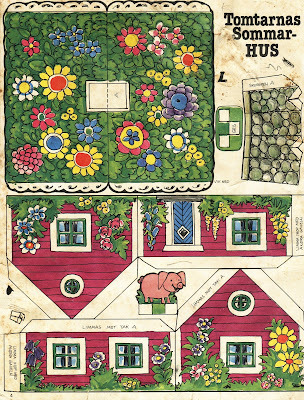 Feel free to download and build a summerhouse, to keep the chilly fall away. I cleaned up the image a little bit, but here it is! Thanks for posting it!